2013 took me to 5 National Parks in 2 different countries coupled with a few state parks and a handful of UNESCO World Heritage Sites. I visited palaces and fortresses, hiked mountains, summited 6 peaks, backpacked along ridge lines and through canyons. The extraordinary views on my adventures provided a plethora of pictures to choose from. Out of thousands of shots I took in 2013 it was tough to narrow it down to just 19 contestants for my Top 10 Favorite Travel Photos of 2013. Come back each day over the next 4 days to check out my top ten! #5 is from the second day of my Southwest backpacking trip. Just yesterday we were 9 strangers in small cliques but putting miles on our packs as the most profound rock formations flanked our trail creating a bond that we had never experienced before. We were the only people in Red Canyon that day and that made it even more awe inspiring. You can read more about it in Day 5 of my southwest journey to find True North. 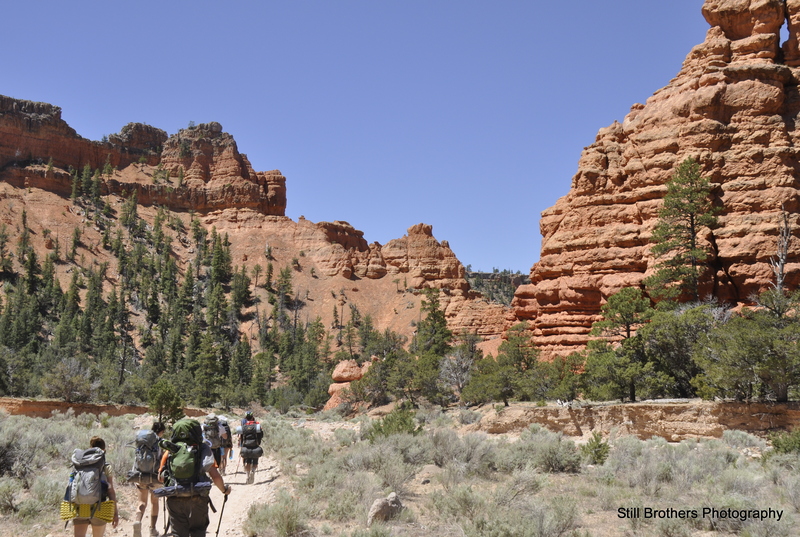 Whats your favorite backpacking trip? Have you ever gone on a trip with a handful of strangers? How did it turn out for you?